A copyright is a form of intellectual property which is protected under United States law and granted to authors of "original works of authorship". This can include literary works, motion pictures, photographs, drawings, musical recordings, computer software, or any other mediums in which an original idea may be encompassed. The owner of a copyrighted work may reproduce the work, develop derivative works, distribute or sell the work, display the work publicly, or give rights to another individual or entity through a contracted license. According to United States copyright laws, a person will automatically receive ownership of a copyright once an original idea has been expressed within one of the fixed mediums mentioned above. However, in order to earn full protection under the terms of United States intellectual property law and ensure that any potential legal battles in the future are resolved quickly and easily, it is essential to register a copyrighted work with the U.S. Copyright Office. Copyright attorneys who are knowledgeable in intellectual property law will guide an individual or entity through each step of the registration process. 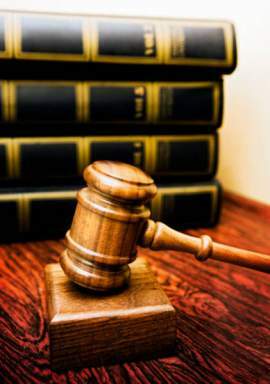 Copyright Attorneys are legal professionals who are knowledgeable in copyright intellectual property law. While some copyright lawyers specialize strictly in copyright law and legal procedures, many copyright lawyers also have a great deal of knowledge in all forms of intellectual property, including copyrights, patents and trademarks. 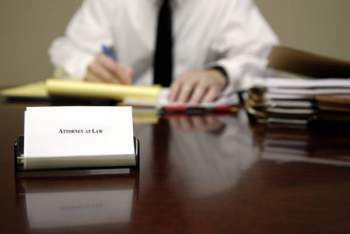 Copyright attorneys assist their clients by advising copyright holders through the registration process. 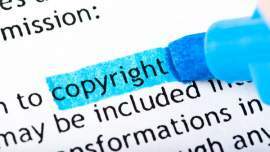 In addition, if a copyright holder believes that their work of authorship has been infringed upon, their copyright lawyer will be able to assist them through the process of filing the lawsuit and presenting a valid argument against the defendant. Copyright lawyers are educated with standard law degrees from any licensed law school in the United States. 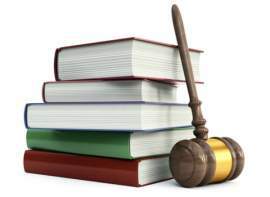 There are no formal specialized educational systems which preclude becoming a copyright lawyer or any other type of intellectual property lawyer (though patent lawyers may require additional education). A law school graduate becomes a copyright lawyer after practicing copyright law professionally. After years of gaining experience in the field and studying intellectual property law, the copyright lawyer will become more reputable within the field. It is not uncommon for copyright lawyers to expand their knowledge into trademark and patent law as well. The salary of copyright attorneys largely depends on a number of factors. The median salary of an intellectual property attorney in the United States is about $103,000, though the exact amount may depend on if the attorney is working in the private or public sector and if the attorney is working through self-employment or at a law firm. Due to higher demand of mechanical and scientific expertise, patent attorneys typically make more money than trademark and copyright attorneys. Though the registration process and copyright lawsuits do not require the assistance of a copyright lawyer, it is highly recommended that an individual or entity without a legal background hire a copyright lawyer during these proceedings. They will inform a client if they have a valid argument against a suspected copyright infringer and they will ensure that a client's case is presented effectively and the maximum amount of damages are awarded. 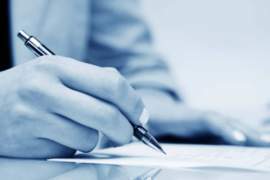 Registering a work of authorship with the help of a copyright attorney will provide solid evidence of ownership, giving a person exclusive rights until seventy years after his or her death. For works done for hire, the copyright exclusivity will last either 95 years from the publication or 120 years from its creation, depending on which is shorter. 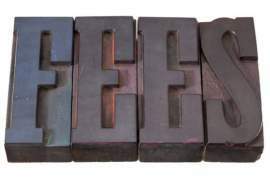 In addition, copyright registration will allow a plaintiff in a copyright infringement lawsuit to not only collect damages for the infringement, but also collect on any copyright attorney fees required during the legal process. If a person or entity has discovered that a copyright under their ownership has been infringed upon by another party, they should seek legal action immediately to better their chances of receiving damages. It is important for the copyright holder to thoroughly discuss the infringement with a copyright lawyer so that a better understanding about possible options could be examined. The U.S. Copyright Office does not offer service or referrals of copyright attorneys for individuals or entities wishing to take legal action for infringement. The best option is for a copyright holder to seek local or State Bar Associations for copyright lawyer recommendations or to contact public interest organizations that provide volunteer copyright lawyer services.